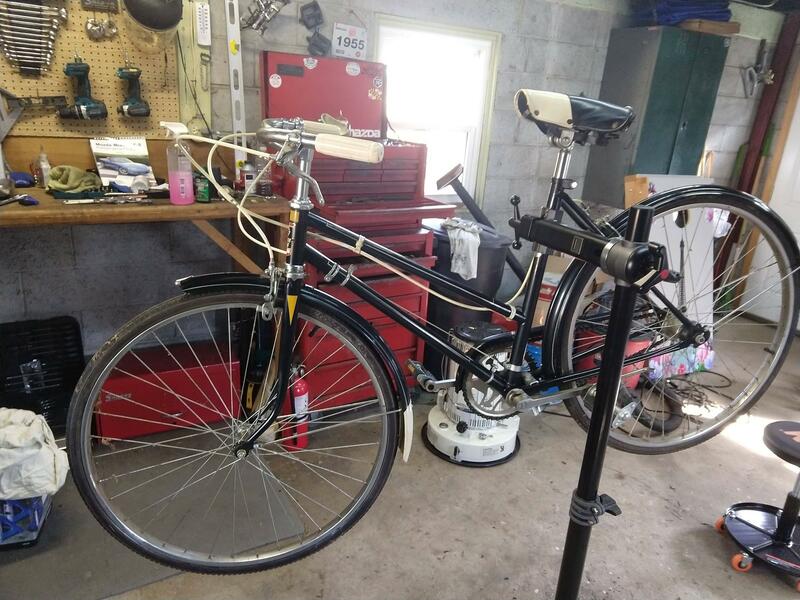 I recently got this bike for very cheap... cleaning it up and will sell it since I have no use for it. No idea what to ask for it though. Rear hub is an internal 3 speed hub. 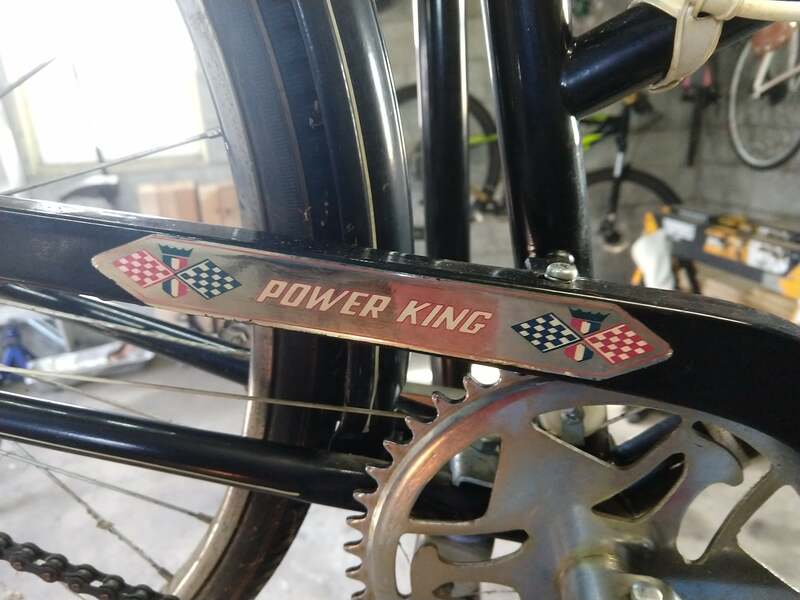 The only markings I see are Power King. Made in Taiwan. On seat-tube I see a "Korvettes Laboratory Approved" sticker. I'm honestly amazed at how well it is cleaning up. All of the chrome is shining up well, every bearing is still turning smoothly and the shifter and hub even work. I see a stepthrough frame dating from the 70s or earlier, based on the cottered cranks. The rims have a dull sheen to them which suggests aluminium alloy not the period steel. Test with a magnet, and check if the tyres are 27" / -635 size, or have been swapped for a more modern -622 size. E.J. Korvettes was a department store in the US from 1953 to 1980, and Power King seems to be their house brand. 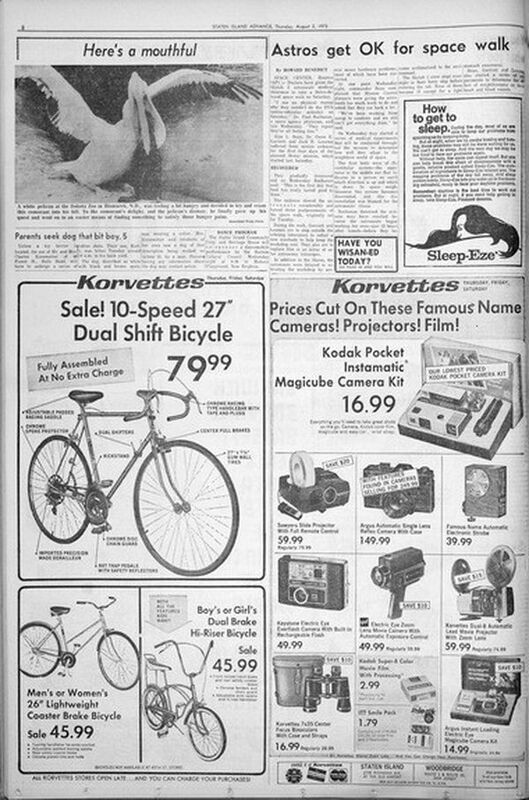 Do a google image search for "korvette bicycle" and browse a lot of results. The contrary point is the "made in taiwan" wording, which implies later than 1970. Taiwan was only coming into its own as a manufacturer in the 80s. You obviously have a bunch of bikes based on the background. I'd suggest getting a cane or wicker front basket for the PK and use it as a shopping bike. None of your other bikes have mudguards - this one has full-length guards and could be ideal as a rain bike with the internal hub and chain guard. As you've noted, the bearings are working fine 30-40 years later, and it appears to be a great bike. As they say "the correct number of bicycles to own is N+1"
Not the answer you're looking for? Browse other questions tagged vintage or ask your own question. 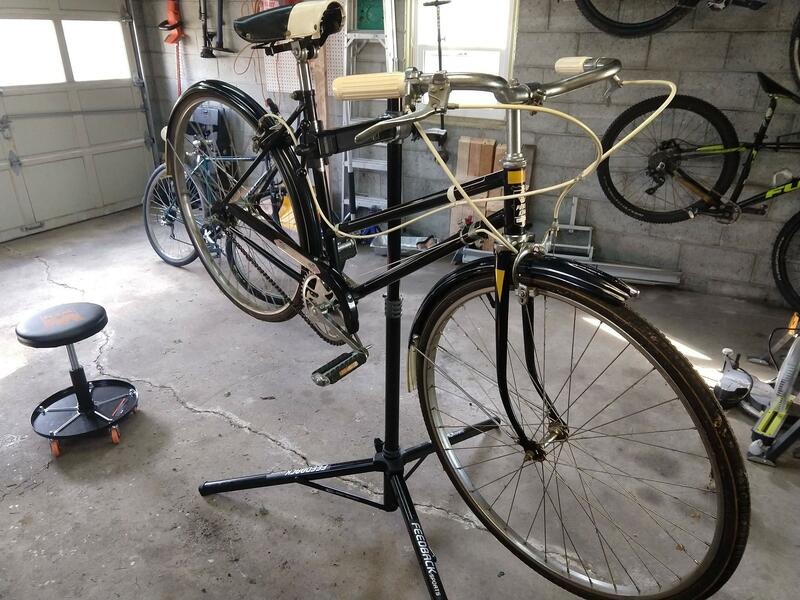 Which freewheel remover tool to use on vintage Columbia bike? 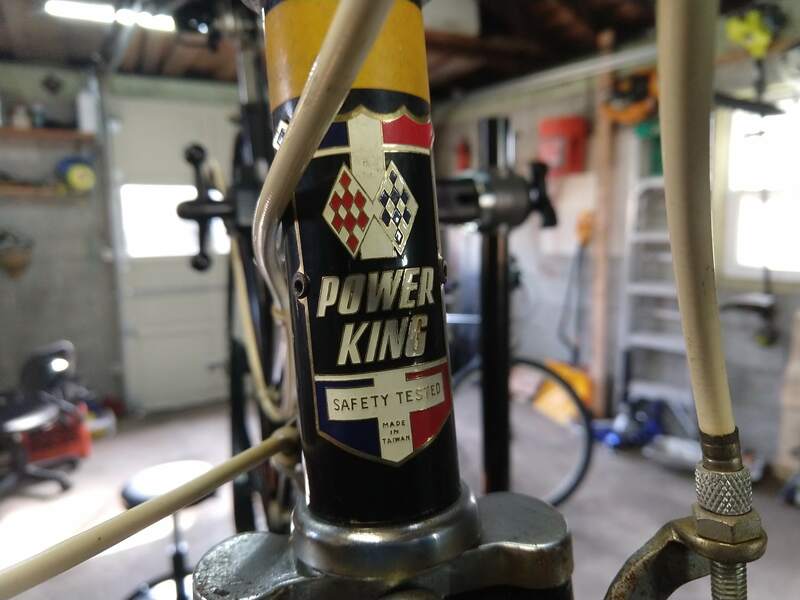 Washing a vintage bike—special considerations? 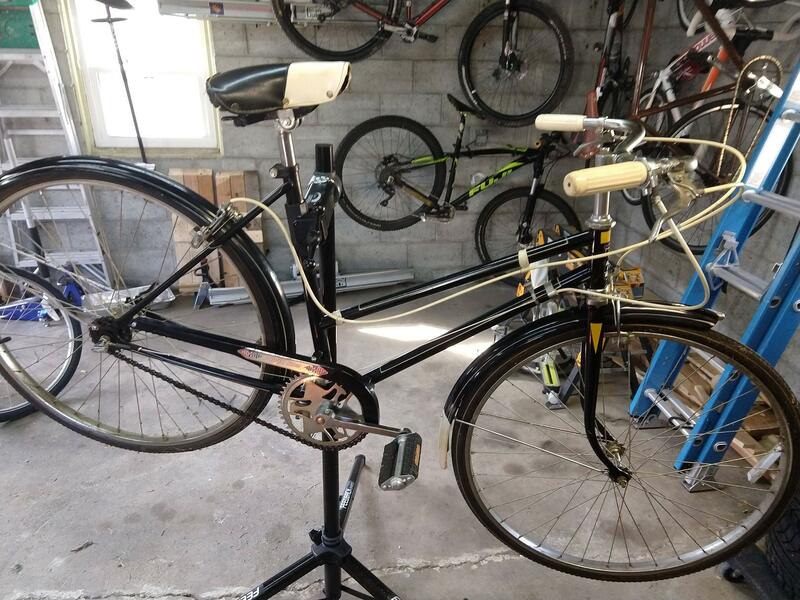 Do we know this type/brand/model of vintage bicycle?